Nelliampathi: Locally nicknamed as the ‘poor man’s Ooty’, Nelliampathi is one of the most popular hill stations of Southern India and has some breathtaking lush green tea gardens and charming flora that are simply awesome. Chempara Peak: Said to be the highest peak in Wayanad, Chempara peak is a popular trekking spot of Kerala with interesting scenic spots and mesmerizing views. There is even a small heart shaped lake that makes for a great view from high up the mountain. Silent Valley National Park: Under consideration to be listed as a UNESCO World Heritage Site, thee Silent Valley National Park is one of the last unexplored parts of Indian tropical evergreen forests. Home to some rare animal and bird species, the place is full of beautiful wilderness that will make you fall in love with the place. Muzzhappilangad Beach: Perhaps the only drive in beach of India, the beach is located in Kannur town and is one of the largest in Asia. Enjoy a 5km ride splashing in the waters either in your bike or your cars. Thattekkad Bird Sanctuary: Said to be the first bird sanctuary of Kerala, Thattekkad Bird Sanctuary has a rich biodiversity of over 300 bird species that make the place bliss to any nature lover. 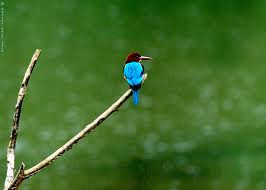 The place was also described as the richest bird habitat on Indian Peninsula by the famous ornithologist Salim Ali. 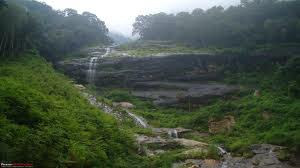 Vazhachal Waterfall: Located near the most popular waterfalls of Kerala- Athirappily Waterfalls, Vazhachal is great place to catch some fun away from the maddening tourist crowd. Veliyaparamba Backwaters: Surrounded with lush greenery and small islands , this backwater stretch of Kasaragod is an ideal backwater destination that lies mostly unexplored. In fact, the place offers a relief from the maddening rushes and hum drum of the city life. Cherai Beach: Referred to as ‘The Princess of Arabian Sea’, Cherai beach is one of the finest Arabian Sea beaches. Offering a great place to go jogging or that much wanted long walk, the place is also dotted with beautiful lagoons and paddy fields that add charm to the place. Ponmudi: Also known as the Golden Peak, Ponmudi is a main hill station of Trivandrum standing at a height of 1100m above sea level. There are some quite adventuresome hairpin curves including roads and beautiful scenery on the way to top but the scenery from the top of the valley is well worth making the effort. 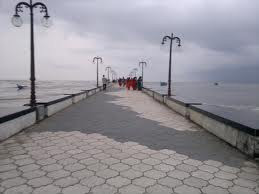 Beypore Beach: Located near Kozhikode, Beaypore is a beautiful beach where Middle East trading used to be done. There is a special ‘Pulimuttu’ or a 2km long stone bridge that stretches into the sea near the beach that makes for an awesome view and a must-take walk that will make you feel like you are standing right in the midst of sea. Explore these unexplored gems of Kerala and spend your vacation collecting some beautiful memories that will last for a lifetime!! !